Today’s ag industry presents many challenges for farmers, including evolving technology that can be hard to keep up with.  At Maple Lane Farm Service, we’re making technology easier for you with Fuse® fleet management. This unique precision agriculture solution from AGCO connects your entire crop cycle. It is there from planning and planting to harvest and storage. It provides you with operational data, machine inspections and support through the whole crop care cycle. Fuse gives you the leading edge you need to achieve higher yields and greater profits. If you haven’t implemented Fuse into your ag operation yet, here are five ways it’ll help you farm smarter. Fuse is different from other technology options because of its flexible, open approach. No need to reshape your fleet around your technology. You’ll have the freedom to customize Fuse based on your choices of equipment, software and service providers. Are you a farmer or producer who runs multiple equipment brands? Fuse is for you. No matter what color your machines are, it allows all your equipment and resources to “talk” to each other. With this you can make more informed, profitable decisions. One big benefit of modern technology is the ability to stay connected anytime and anywhere. Fuse brings that benefit to precision farming technology. You’ll have the ability to use mobile functionality and diagnostic services exactly when and where you need them. If you’re concerned about keeping your data protected, you can feel safe using Fuse. It’s designed to keep your information private. You don’t have to share any of your farm data to use it or connect with other trusted technology partners. There’s no need to be intimated by new technology with Fuse. AGCO has invested in product training and tech support by a team of staff members trained in Fuse technology. No matter where you are, you’ll have all the help you need with setting up and operating your Fuse products. If you want to learn more about how Fuse fleet management technology can improve your operation, our Maple Lane team would love to talk with you! Stop in or contact us today.